Hello everyone, its been quite a while since we've updated our website. In 2014 we only hatched a few Leopard Geckos but all were wonderful babies. We added a few new species to PA Gecko over the year as well. 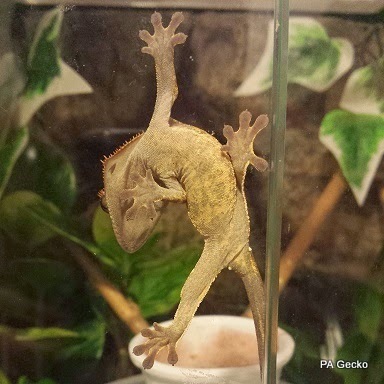 We added a young pair of Crested Geckos that should be ready to breed in 2016, 4 Mourning Geckos that are a parthenogenetic species (no males needed for reproduction), and 6 amazing Panther or Pictus Geckos, 2 pairs will be breeding very shortly. Although all of these purchases took place over the course of the year we're going to do some posts over the next few months that will showcase everything that we have added and all our breeding plans for 2015. We hope everyone has a fun and exciting 2015 breeding season.